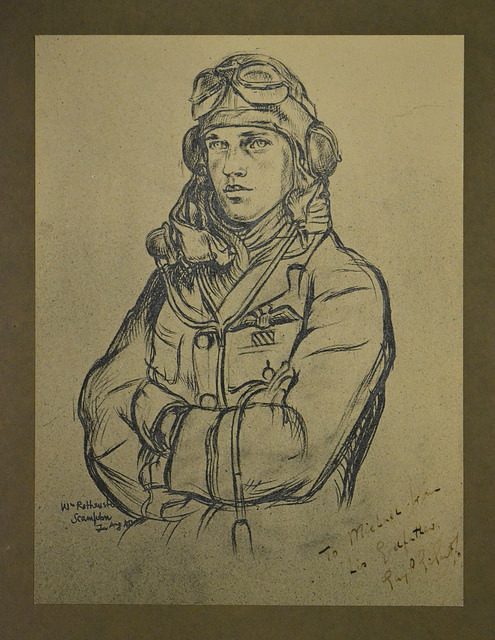 Copy of portrait of Gibson by William Rothenstein, with a personal inscription for Michael Gibson. Last Friday was the 70th anniversary of the death of Guy Gibson, killed on active service near Steenbergen in Holland. Edwina Towson has kindly sent me some pictures taken at a small exhibition of Gibson family material which is running for another few days in the Herbert Art Gallery in Coventry. If you are in the area, you might want to look in and see it. The items have been in the possession of Gibson’s brother Alick, his wife Ruth and their son Michael. 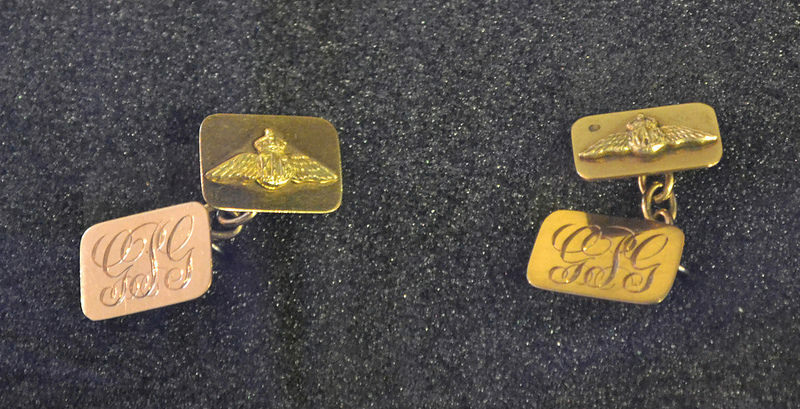 Gibson’s cufflinks, given to him by his parents when he joined the RAF. The most interesting items are three letters all of which would appear to have been written in late 1944. 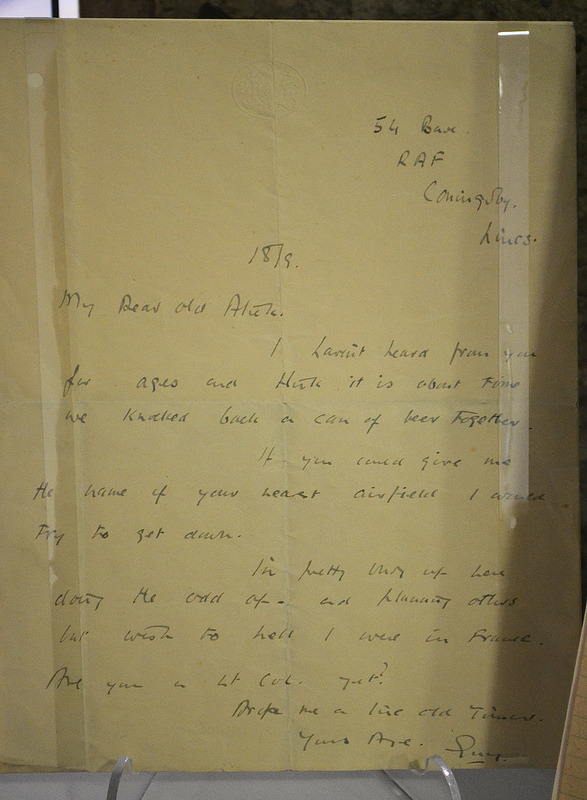 The final one is dated 18 September, the day before he died, and could have been the last personal letter he wrote. I haven’t heard from you for ages now and think it is about time we knocked back a can of beer together. if you could give me the name of your nearest airfield I would try to get down. I’m pretty busy at the moment doing the odd op – and planning others but wish to hell I were in France. Are you a Lt. Col. yet? Drop me a line old timer. The knowledge that this might be the last personal letter he ever wrote adds a degree of poignancy to the somewhat banal words. The old timer and his young brother would never meet again. The exhibition runs until Wednesday 1 October. I have had the privilege of holding those cuff links on the 70th anniversary of the Dams raid on 16th may 2013 .